We specialize in dog and cat nutrition and carry the best, top of the line products, toys and apparel to help keep our pets healthy and happy! We have over 10 years of experience and knowledge, we special order as well! We are Paw-ways here to help! Most of us who have loved a pet, knows how difficult it is when our pet is diagnosed with a terminal or debilitating illness. 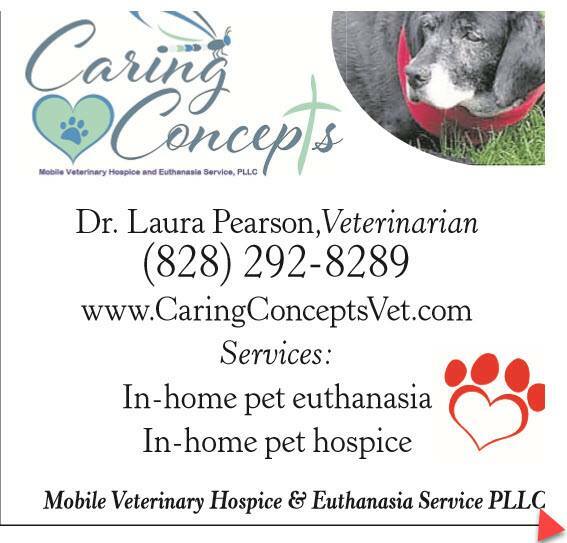 Caring Concepts can help you give your pet the most comfortable, compassionate, end of life care at home. PARTNERS! 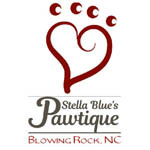 Canines hopes to end the euthanasia of adoptable dogs and puppies in NC! Intake numbers of dogs and puppies in rural Southern shelters is extremely high. Many times puppies and highly adoptable dogs are being euthanized due to lack of space. We hope to help shelters change their intake policies, promote spay/neuter in communities and find ways to rescue the majority of adoptable dogs and puppies in high kill shelters. Purchasing a pet? Watauga Humane Society has over 200 gorgeous adoptable animals, from cats and dogs to guinea pigs and bunnies. Save the life of a homeless animal today! Our adoption fee includes spay/neuter, vaccination, microchip and more! Call 828-264-7865. Watauga Humane Society is a 501(c)(3) nonprofit dedicated to making the lives of pets better in Watauga County through sheltering, low-cost spay/neuter and education. Day, seasonal and annual dog park passes are available at the front desk with proof of vaccination. Visit 12:30 to 5:00 pm daily, Tuesday through Sunday, November 1 through March 31. Closed Mondays. Summer Hours April 1 through October 31 - 12:30 to 6:00 pm Tuesday through Friday, 12:30 to 5:00 pm Saturday and Sunday. Closed Monday.